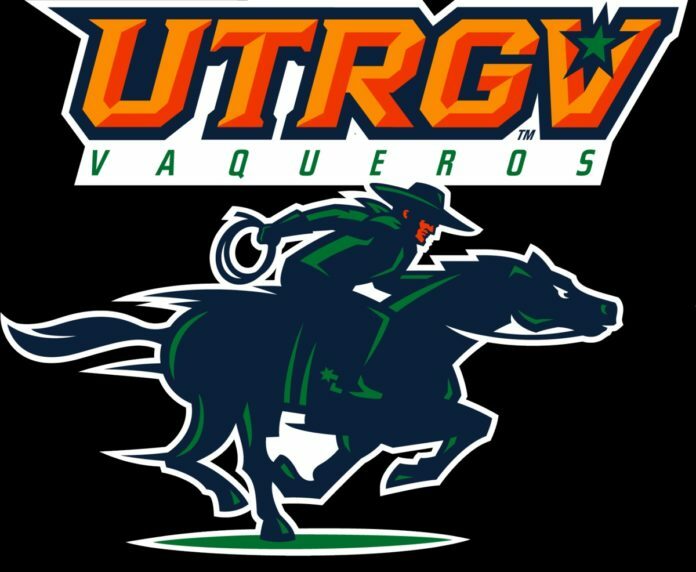 The UTRGV men’s basketball team were down by 11 points and were able to stage a comeback to stun Grand Canyon on Thursday night. The Vaqueros pushed their luck Saturday against CSU Bakersfield. They trailed the Roadrunners by as many as 17 points with under 15 minutes to play, but they forced overtime and wrestled away control of a 79-74 victory at the Icardo Center in Bakersfield, Calif.
Jordan Jackson, who finished with a team-high 15 points, hit the game-tying layup to knot the game at 68 with under two minutes left in regulation, allowing the Vaqueros to force the extra period. Javon Levi made two free throws early in extra time to put UTRGV up 70-68, its first lead of the game that took place in the second half or later. The team made 18 of 24 free-throw attempts in the second half and overtime periods combined. Levi played 40 of 45 total minutes and didn’t make a basket, but he finished with 12 points, all of them coming from the charity stripe. He added six rebounds, six assists and five steals for good measure. Greg Bowie II made three 3-pointers and scored 11. Three Vaqueros fouled out, but they didn’t leave Saturday without making important marks on the outcome. Lesley Varner II scored seven points and grabbed eight rebounds. Tyson Smith chipped in with 12 points and five boards of his own. Terry Winn III added nine to the scorebook. UTRGV (14-12) has now tied CSU Bakersfield for third place in the WAC at 6-4. The Vaqueros are riding a four-game winning streak, their longest of the season. UTRGV will host Seattle on Thursday and Utah Valley on Saturday. Both games will tip-off at 7 p.m. at the UTRGV Fieldhouse.